Technology has transformed how the world does business across increasingly shifting distances. Smart companies need global partners to compete in a global marketplace. That’s as true for cultural industries as it is manufacturing. 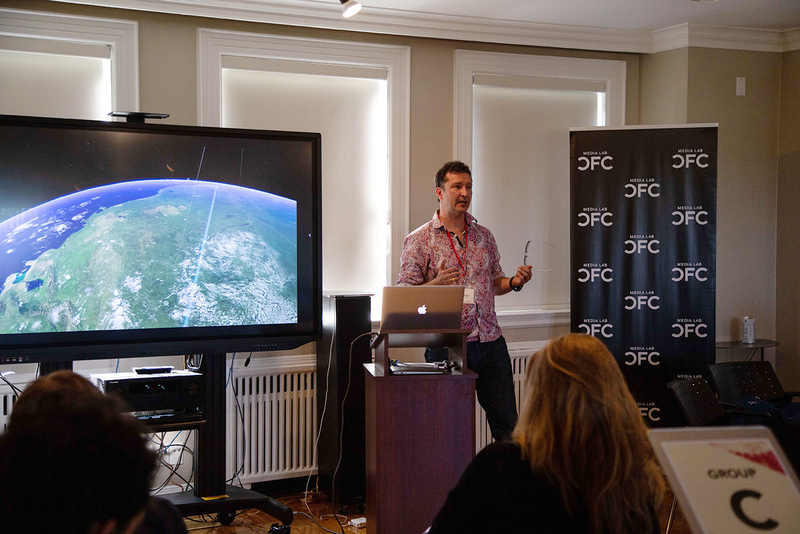 It’s why an international group – the Canada Media Fund (CMF), Canadian Embassy in Berlin, German Consulate in Toronto German Medienboard and CFC Media Lab – put together the Creative Digital Innovation Exchange, a series of workshops between 10 Canadian and nine German companies. It was designed to foster collaboration and cultural exchange between tech companies and content creators on both sides of the Atlantic. “A lot of people still think of widgets, a tangible thing that’s manufactured. In the creative industries, there’s a lot more co-production,” says Jeffrey Crossman, Canada’s Trade Commissioner for the Ontario Region. “When you sell to a market, you’re not selling a thing. You’re licensing your content so when you sell, you go to multiple markets." 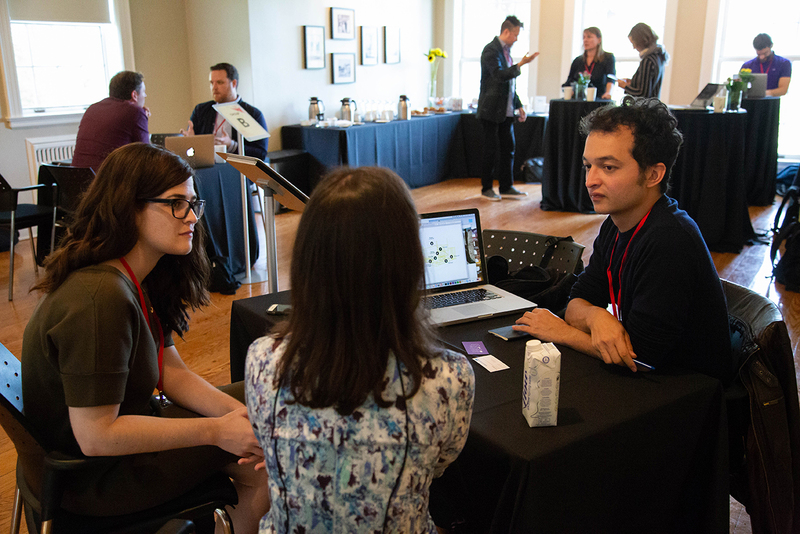 Frederic Dubois, the organizer of the German delegation and one of the event’s primary architects, along with CFC Media lab Associate Director, Nataly De Monte, worked with Medienboard to whittle 30 applicants down to a nine-company German delegation. That delegation was then matched with 10 Canadian companies, many of whom members of IDEABOOST’s Network Connect. All 19 companies varied in size and scope, ranging from smaller studios like Mirage VR and IDFABRIK, to more established content creators and distributors like Secret Location and Another World VR. Each had an established track record in the fields of interactive technology, virtual reality (VR) or web development. Canadian and German delegates during one-on-one networking sessions. The goal: to drive innovation and enable Canadian and German companies to get projects off the ground. The gathering was its own proof of concept. Binational funding brought the two countries’ companies together, showing an openness to jumpstarting development and generating new trade alliances. Funding is, unsurprisingly, one of the thornier knots. Thanks to tax credits, federal programs like the CMF, and provincial platforms like Ontario Creates (formerly known as the Ontario Media Development Corporation), Canadian startups have access to more public funding and support than their German colleagues. “In Germany, we have some funding available, but it is limited,” says Anna Moll, the creative producer of Molle & Korn, a German production company that targets digital audiences and uses social media to maximize its films’ impact. Because funds in Canada do not guarantee access, so many Canadian companies seek alternatives. The summit was appealing to these Canadian companies because it enabled them to cast a wider net. Deep Inc.'s Thomas Wallner shares insights on Canadian and German co-productions. “The benefit of working with another country is that together, you might get your entire budget,” adds Thomas Wallner, the founder and CEO of Deep Inc. A dual citizen who was born in Germany before moving to Canada, Wallner has relied on German-Canadian co-productions throughout his career, and could only realize projects like The Polar Sea thanks to investment from both nations. In any industry gathering like this one, discussing money and financing is prudent and inevitable. Yet there’s also an intrinsic value in the free-flowing exchange of ideas. The workshops at the CFC were designed with that in mind. They offered morning pitch presentations, followed by afternoon networking. The Canadian companies got a chance to sit with their German counterparts and look for points of intersection and compatibility. 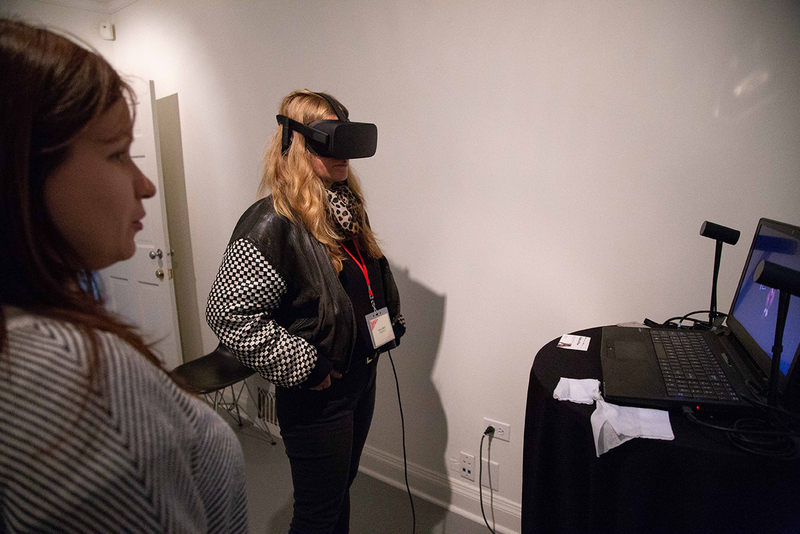 Delegates got a chance to experience Canadian and German VR productions. The Creative Digital Innovation Exchange demonstrates that both countries’ governments are willing to invest in their entrepreneurs and prepare them for the future by, in part, focusing on early-stage collaboration. “Smaller companies invest all their money in their projects. Exploring another market is insecure and expensive. So the funding can give them the opportunity to do something they couldn’t do otherwise,” says Vielhaber, explaining that institutional support frees up more resources for actual development. In turn, companies gain a chance to break through with innovative solutions. “We already have three companies from Germany co-producing with Canadian companies. My personal hope is we’ll see another three to five co-productions stem from this [meeting],” says Dubois. 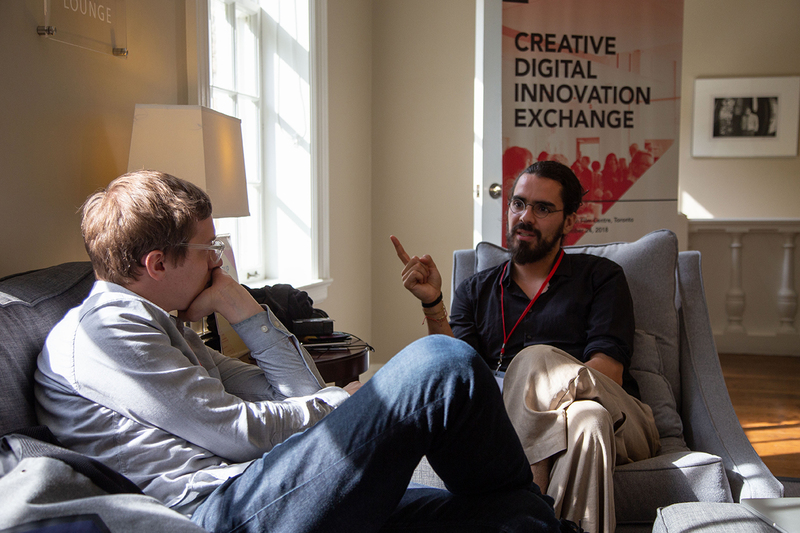 For an exploratory summit like the Creative Digital Innovation Exchange, even a single co-production would be a win. On a broader front, it also strengthens the trade relationship between Germany and Canada, and will continue to open doors for further collaboration in the years to come. Notes From Silicon Beach - Can the Blockchain Disrupt Entertainment and Media?